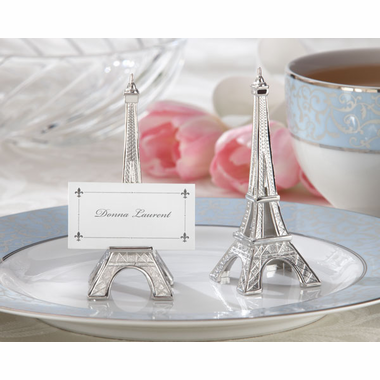 Your Paris theme event isn't complete without displaying a Eiffel Tower place card holder at each place setting. You will be surprised how much these silver-finish replicas resemble the Eiffel Tower. There is a small ledge on the lower "deck" which holds a place card for your event and a photo afterward! 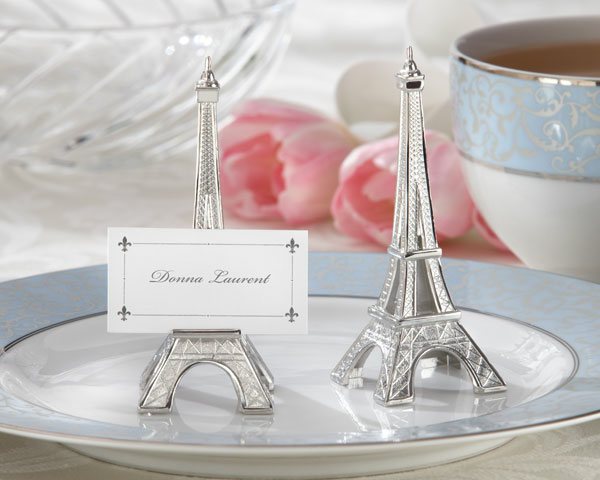 Eiffel Tower place card holders measure 3 ¾" h 1 ¼ " w and come in a set of four.